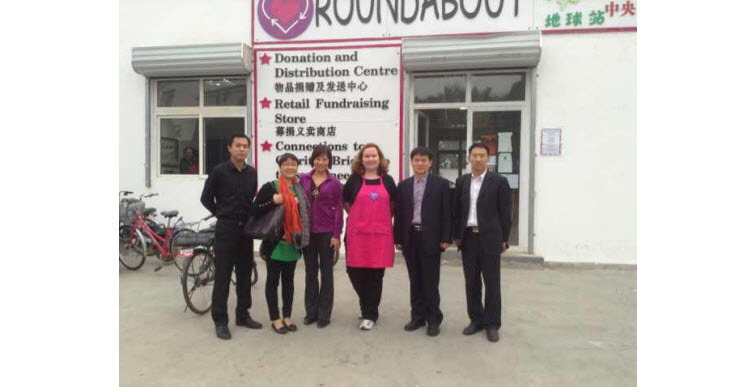 An official affiliation with the Henan Disabled Person’s Foundation will be a huge step for Roundabout and enable us to offer even more help to people in need. Last week we were honoured to be visited by Mr Chang Weimin, The Deputy Director of The Henan Disabled Person’s Federation, Mr Zheng Yongmin, Secretary-in-Chief of the Henan Foundation for Disabled Person’s and their colleagues. The party were very impressed by the work that we do and after much talking we were stunned to be invited to become an affiliated organisation. There is much more talking to do, but we are excited about this potential step forward as we are still unable to officially register on our own here in China.